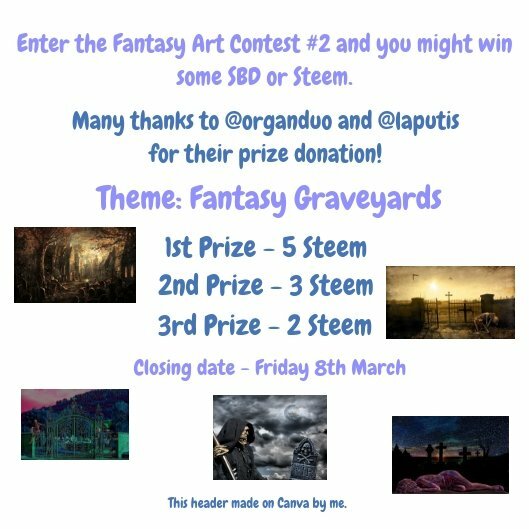 Fantasy Art Contest #2 - Your chance to win 5 Steem!! - Why Not Have a Go? After the success of the first Fantasy Art Contest, let's have another one! 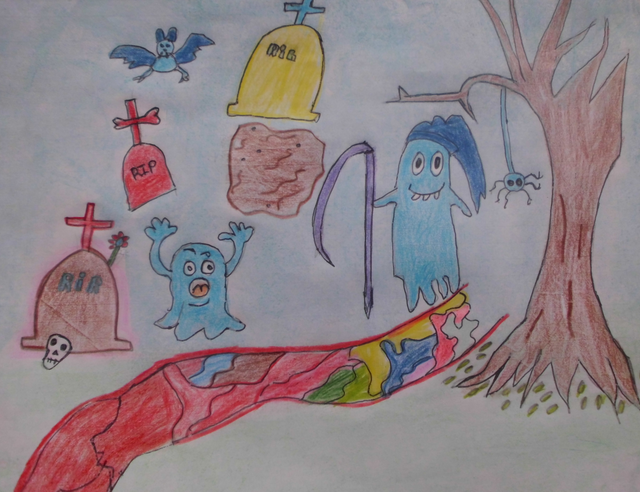 For Fantasy Art Contest #2, have fun drawing a fantasy graveyard. Thanks to the amazing generosity of @organduo and @laputis we have some good prizes. You could win a prize. I will either pay the prizes in Steem or SBD. 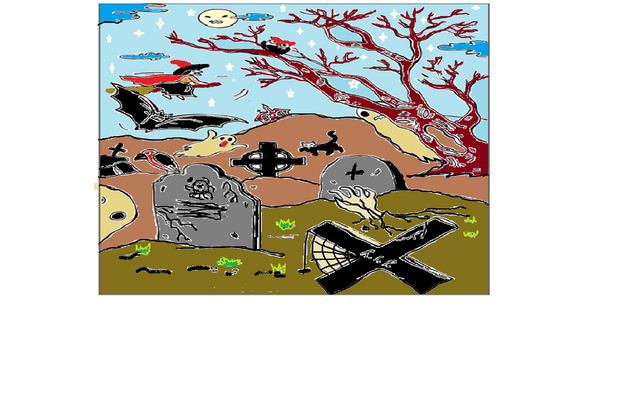 This theme is: 'Fantasy Graveyards'. 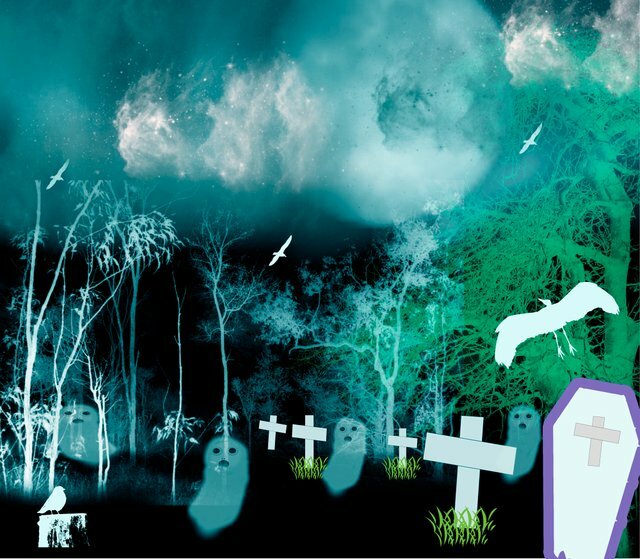 Draw your Fantasy Graveyards however you want. 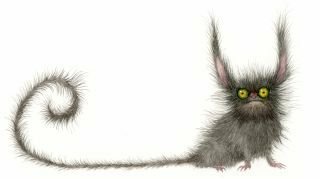 They can be bleak or comforting, full of graves or with creatures roaming! Use your imagination and scare, shock or surprise me! I will be looking for originality, cool design and creativity. I also look at the materials you used. Both traditional art and digital art are welcome. Your entry must be your own original work created for this contest and relating to the theme. No old art, please. The contest closes on Friday 8th March. • Make a post for your entry with the title 'Fantasy Art Contest #2'. • Leave a link to your post and a picture of your entry in the comments below so that I know you are entering the contest. • 100% Upvoting and resteeming this post helps me to afford more contests. Sorry, photography is not accepted. Esta es mi entrada para este concurso. Dee, I'm sorry again... I'll draw another picture to contest. 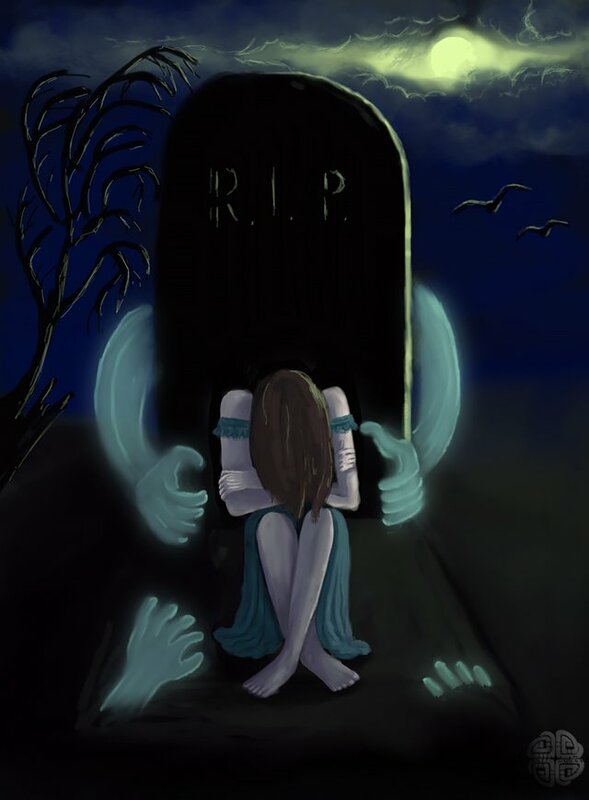 Hola a todos, aquí les dejo mi participación: Cementerio de Fantasía.